The Scorpion is another new horse in the 2014 stable and is only a couple chromosomes different than the Spud. Timmy designed the Scorpion to be incredibly fast and responsive. 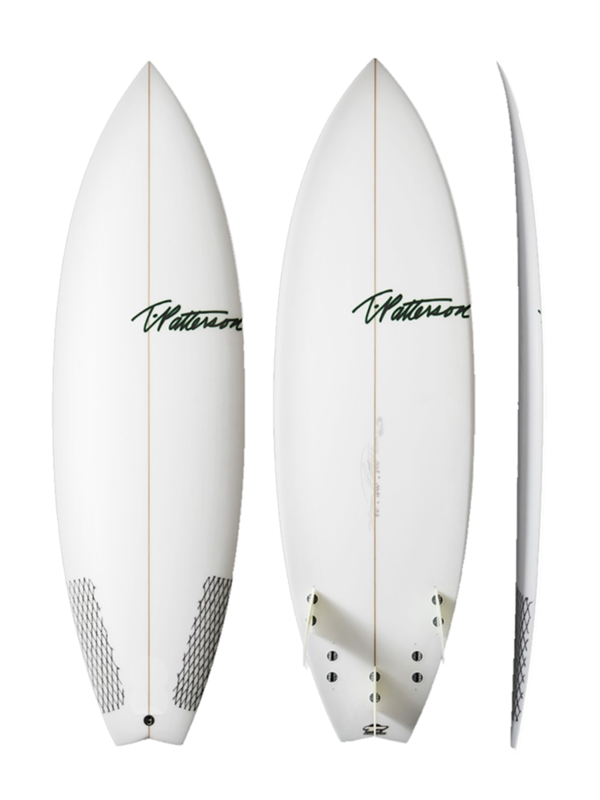 The medium-low entry rocker leads to single deep concave and eventually ends with slight vee off the tail to ensure that this board rides at lightning speeds. The wide point is moved forward and the pulled in tail allows for quick power turns anywhere on a wave. The rails are medium while the volume is distributed evenly for paddling power. This board is meant to be put on rail at fast speeds without hesitation. The Scorpion works best in waves waist high to a little overhead. This model comes as a swallow tail and can be ridden as a tri or quad.